The time you’ve been waiting for all year is finally here. It’s summer, and this means lots of daylight hours and perfect temperatures for you to get out on the golf course. The sun and heat have led to even the biggest names in the sport calling for a change in acceptable golf outfits. 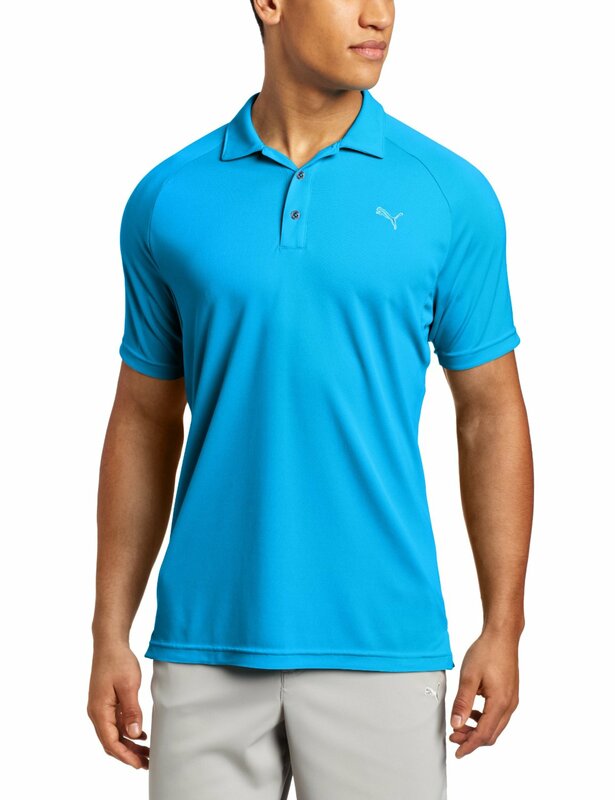 Even if you’re not at Tiger’s level just yet, you still want to look good, stay cool, and not break any club rules. So how do you put together that perfect summer golf wardrobe? Keep reading. This article will show you the seven key pieces of golf attire you need for the summer season. Summer is the perfect time to slip away from the office early for a few rounds. If you’re going straight onto the course after work, you don’t have to make it obvious. A polo shirt in a solid color works well both at a desk and on the links. Most clubs will expect that your shirt has a collar at the very least. Other than that you have the liberty to play with color. Just don’t go too crazy with the patterns, especially if you are mixing them. Fit is also important. Although you want to keep cool, don’t show up in a baggy top. Contrary to what you might think, it doesn’t make you look slimmer. Look for shirts made of new age materials to keep you cool. The coolest fabric for summer is often a synthetic blend that will wick away sweat from your skin. If there’s a chance of rain, a light cashmere pullover can be folded around your neck. Last but not least, don’t forget to tuck your shirt in. A vigorous swing can leave your golfing companions with a view of your midriff or the top of your underwear. There are a few things you should look for in the perfect summer golf glove. Make sure it’s flexible. A soft leather or synthetic leather is ideal. The glove should also be breathable. Often a good one will have mesh material which serves to keep your hands sweat-free even in intense heat. If not, look for models that have ventilation holes in the leather. A good grip is also essential. This can make a world of difference in your confidence with your club. To keep your face protected, you’ll need more than a great sunscreen. A cap functions to both keep the sun out of your eyes and stop you from burning. Baseball caps are the standard for most courses. A visor also works well. However, it could expose the top of your head to a bit too much of the sun’s rays. Try styles like the Urban Canairie hat, for example. It has a mesh design that keeps your head cool. For something slightly different, you can also wear a straw hat. A few hat styles are not appropriate, though. These include beanie caps, fedoras, and cowboy hats. In the modern game, cleats are no longer required for footwear. Today, most courses require spikes made of a soft material like plastic. Call your favorite club to see if they accept sneakers on the course, and you may not have to purchase a new pair. Most golf shoes look similar to a sneaker, but some are a bit more ambiguous. Shoe brands are making versatile footwear like the Mens Tour Hybrid Wingtip. They look like a traditional leather shoe but have a breathable lining to keep you cool. Super traditional colors for golf attire include brogues in white and brown. However, black shoes are generally seen as too formal. As with any other sport, socks are necessary to compliment your footwear. Rules will usually state either that long socks are required, or that short ankle socks are allowed. The latter are usually barely visible. They should be made of the right fabric to keep your feet both dry and comfortable. The usual thick sport sock will not feel warm, but also hold on to sweat. Keep the material light and breathable. Match the color to the rest of your outfit to look well put together. Tailored shorts that reach the knee are the standard summer golf attire. Both for etiquette and style reasons, don’t go too long. Too short is also a faux pas. You may have been working those legs hard in the gym, but no one needs to see your thighs. The best summer golf pants are made of a cotton blend, and a khaki pair of shorts is the most popular choice. Light colors reflect the sun while keeping you cool. Think whites, tan, or even pastel colors. We probably don’t have to remind you, but no cargo shorts. Ever. Many clubs actually ban this item of clothing. Even if you’re golfing with clients, you want to show a bit of style and personality. Why not add a belt with a pop of color to your outfit? On the other hand, if your waistline is a bit wide, you don’t want to draw attention to it. In this case, a belt that matches your shorts creates a cleaner and less noticeable waist area. Alternatively, you can match your belt and shirt. Finish off your outfit with a sporty pair of sunglasses. The perfect pair protects you from glare and allows you to see beyond the green. Now that you’ve got an idea of what to buy, it’s time to get out there and play. More accessories like your golf bag and choice of a watch can up your style game a further notch. We have lots of tips on our blog about the products that will make you the most savvy player on the course. Read more about the golf accessories that will take your game to the next level. Best Golf Shirts for Men Best Golf Socks What are the Best Golf Shorts? The Best Golf Rain Gear – Stay Dry!